November 15 at Kent County Hospital in Warwick from complications due to a lifelong health condition. She was the daughter of late Kathleen Bruins. Brenda is survived by her sister, Carol Bruins of Warwick and a brother Raymond Bruins. She also leaves her fiancé Christopher Barboza of Pawtucket. Brenda graduated from Cranston East high school. She worked as a bus monitor for a local school system from 1996 to 2000. She was also employed as a sales clerk for New to You Too, a resale store in Central Falls for nine years. She retired in early 2017 due to health complications. Brenda was associated with The Arc of Blackstone Valley since 1991. She leaves many friends and staff throughout the agency. Team 2, the Resource Center, New to You Too, Broad Street, Manton Street and the Belmont teams were especially important to her well-being over the last twenty-seven years. 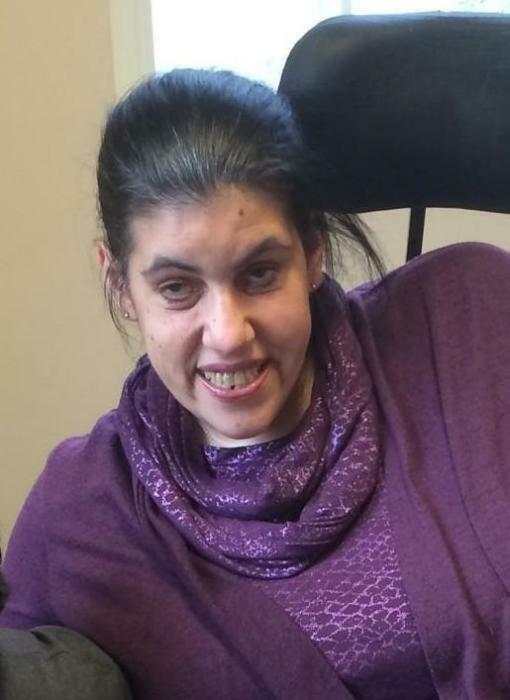 Brenda was a fierce self advocate and was well known for her ability to communicate her needs and the needs of others around her. Brenda was a member of the choir at the Mt. Hope Baptist Church in Providence since 2003. The calling hours for Brenda will be Tuesday, November 20th from 9:30 am until 10:30 am in the Manning-Heffern Funeral Home, 68 Broadway, Pawtucket.